To provide much needed medical care to refugees arriving in Berlin, the Rotary Clubs of Berlin-Tiergarten, Germany, and Morehead City-Lookout, North Carolina, USA, used a global grant to fund treatment and health education. Your gift to The Rotary Foundation funds meaningful services projects around the world. This year, publicize your district’s successful grant projects in newsletters, on your club and district’s websites, and in social media. Sharing your success through testimonials, videos, and photos brings your projects to life, illustrates the partnership between your district and The Rotary Foundation, and helps raise funds for future grants. Visit The Rotary Foundation’s Vimeo page to find inspiring videos about successful Foundation-funded grants. What are your club’s Foundation goals? Now’s a great time to evaluate your club’s fundraising efforts from last year and submit goals for this year through Rotary Club Central. You can use this year’s Presidential Theme & Citation guide to plan your giving goals. As of 1 July, term gifts are now known as “directed gifts,” with 5 percent of the gift amount being used to offset administrative costs. Donors will receive recognition and a tax receipt for the full amount of their directed gifts. For details on directed gifts and other naming opportunities, visit Rotary.org’s Donor Recognition page. Last year, 22 of the 27 Rotarian Action Groups assisted with at least one global grant project. From advising on the grant application to providing technical expertise and identifying partners and resources, these groups can help you carry out large-scale, international projects. Review the Rotarian Action Groups Annual Report to see examples of how the groups worked with clubs and districts to plan and implement global grant projects. Contact these groups to get help planning your next project. The Rotary Foundation has $1 million for fully funded global grants to rebuild communities in District 7000 that were damaged by Hurricane Maria. Rotarians can use this generous gift from the Robert and Edit Murray family for projects to provide clean water, basic education, economic improvement, and more. If your club or district is interested in working with Rotarians in Puerto Rico to carry out a global grant project, contact the Rotary Foundation chair for District 7000, John Richardson (jrgnocchi@gmail.com). Clubs and districts in the United States may serve as the international partner on global grant projects in Puerto Rico. 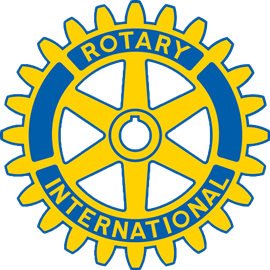 Project fairs are regional events hosted by Rotary districts to encourage international friendship and collaboration. Fairs give Rotary clubs a chance to showcase their service efforts to potential partners, and give international visitors the chance to find a project that meets their club’s goals. They’re also the perfect way for visitors to learn about the local community and build relationships with their international hosts. Consider attending one of these project fairs to build a foundation for a global grant partnership. In January, we released an improved version of the global grant report in the Grant Center. Now it’s the district grant application’s turn. We’re redesigning the look and feel of the application to bring it in line with the global grant application. We’re adding more project categories to make it easier to track project trends. We’re also changing the global grant application to allow clubs and districts to upload the results of their community assessments more easily. Watch for updates on these improvements. As a reminder, any club or district that applies for a global grant to support a humanitarian project or a vocational training team must now conduct a community assessment first and include the results in their grant application. Clarified that district grant funding may be used to support travel to and participation in Rotary project fairs to help districts identify project partners. Clarified that global grant applications for projects requesting between $100,001 and $200,000 from the World Fund must be received by 1 June to be reviewed by the Trustees at their meeting in September or October. Previously only October was listed. Clarified procedures for global grant contributions sent before application approval.